The Norwegian company found no oil in the well located few kilometers from the border to Russia. The well has been permanently pugged and abandoned, the Norwegian Petroleum Directorate says. The drilling was conducted with semisubmersible rig «West Hercules» and took place about 175 km north of Vardø, the north Norwegian town. Water depths in the area are 293 meter. The distance to the Russian border is only about 50 km. The oilmen drilled to a vertical depth of 852 meters below the sea surface. No hydrocarbons were discovered, the Directorate says. 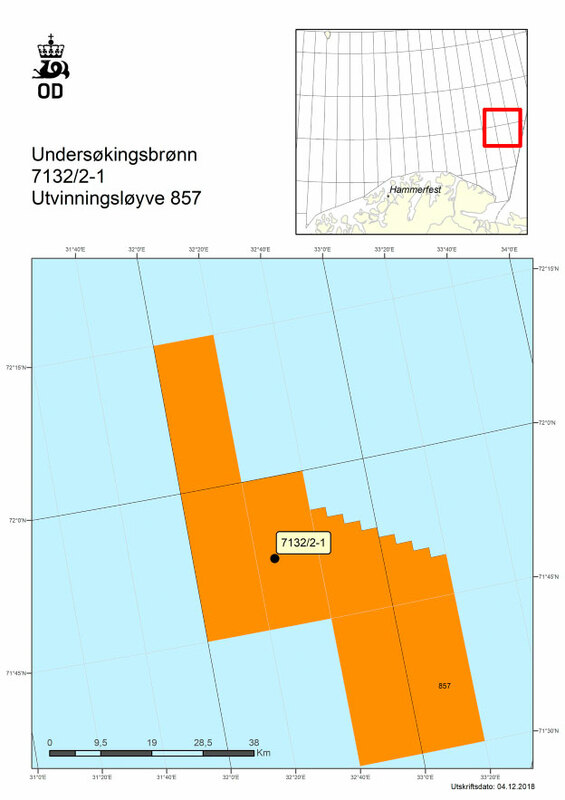 The area has got the name «Gjøkåsen Deep» and is part of license 857 granted to Equinor and partners Aker BP, Lundin Norway and Petoro in 2016. Equinor started the drilling operation on site in early January. It has not proceeded without problems. Just few days after operation launch a package on a blowout preventer was unintentionally disconnected and work therefore had to be halted. Hopes were high among the oilmen. The license area is part of the region that until 2010 was disputed ground to Russia and exploration has been sparse. Fedynsky High is the name of the area that stretches across parts of the Norwegian-Russian maritime border. The area is believed to hold a significant hydrocarbon potential. Russian oil company Rosneft holds licenses to the waters located on the Russian side of the border. The «West Hercules» has now move to another drill site in the license area. Despite the high expectations, no major discovery has yet been made in the area. Equinor in August 2017 drilled a wildcat well located on 74 degrees north, only about 35 km from the border. Results however showed only a minor gas discovery not profitable for development.